Why pull base of BJT switch? Why it's used? I understand pull resistors for FETs, because of gate's high impedance an EMI can easy switch it. But BJT need base's current to open and, I think, EMI has too high internal impedance to give enough current. Is it safe to leave floating base in BJT switch? The very short answer: R2 helps to turn the BJT off fast. A bit longer: When the current ceases to be provided through R1, all there is left to stop the base from being forward biased is the current that flows through the base itself. This works for slow circuits. For fast turn-off, R2 helps to get the charge out of the base. Note that there's a parasitic capacitance from B to E and worse, from C to B. The latter is worse because while B goes down, C goes up, and the C-B-capacitor pushes charge into B while you want to lose charge in B (Miller Effect). Also, with B floating, a tiny current (interference / parasitic creepage path) may be enough to turn the BJT on. R2 helps to prevent this. In addition to what zebonaut said, another reason could be so that the transistor turns on at a higher voltage than its inherent B-E drop. R1 and R2 form a voltage divider. By setting the divider appropriately, you can get a higher effective threshold a the left of R1 for turning on the transistor. Yet another reason for adding a pull-down resistor is that many BJTs have a certain amount of collector-base leakage. If R1 is large, or if the pin that's driving it is not actively pulled down, that leakage pay pull the base up to 0.7 volts. If that happens, the transistor itself will amplify the leakage. 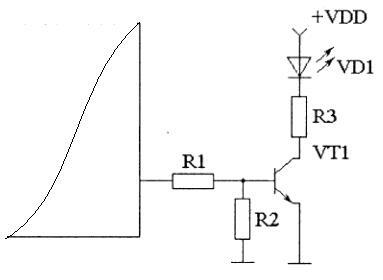 If the transistor has a base leakage of 0.2uA and a beta of 50, then in the absence of any sort of base pull-down, the collector would end up leaking 10uA. Adding a pull-down to the base reduces that leakage to 0.2uA. In some situations, 10uA of leakage may be no big deal, but if everything else in the circuit is powered down to draw only 5uA total, having a transistor leaking 10uA could triple one's power consumption. Unnecessary pull down resistors on BJT and FET transistors?